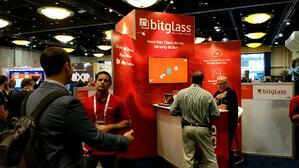 The Bitglass team just returned from the Gartner Identity and Access Management Summit in Las Vegas. At the booth and during speaking sessions, it seemed like there were several trends in identity and data protection that continually bubbled to the surface. When companies migrate to the cloud, protecting data becomes more essential than ever. So, adopting the right cloud access security broker (CASB) is an absolute must for any organization that wants to ensure complete cybersecurity in this new environment. Fortunately, Gartner’s latest research ranks thirteen competing CASB vendors on four key sets of capabilities. 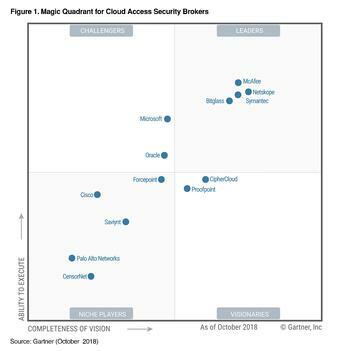 Gartner just released its 2018 Magic Quadrant for Cloud Access Security Brokers, wherein Bitglass was recognized as a Leader in the CASB space. Like last year, companies were evaluated based on completeness of vision as well as the ability to execute. We believe that our positioning is due to all of our growth over the past twelve months, the world's best customers, and an incredible amount of hard work from our employees around the globe.